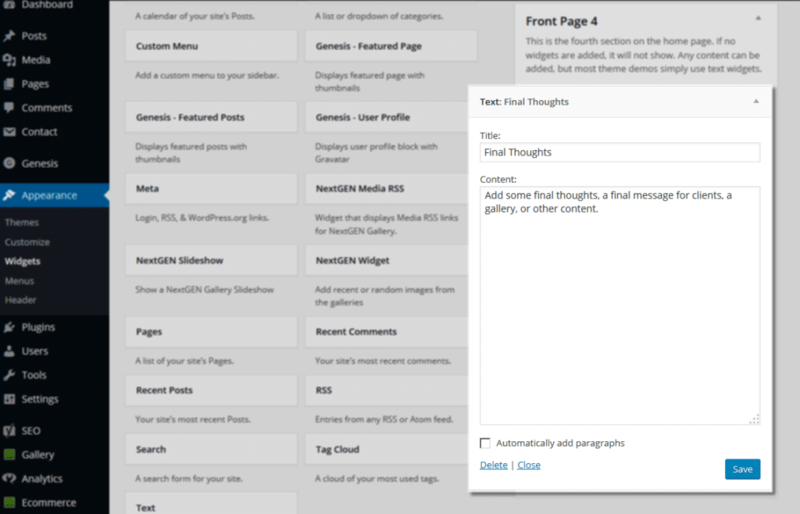 The Front Page 4 widget area in the Imagely Free Spirit uses one (1) Text widgets to add final thoughts. Title: Use a title of your choice to serve as a heading for this widget area. Content: Add a paragraph of text with final thoughts you want guests to remember about you.